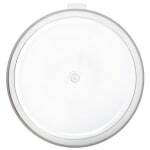 The Carlisle 060230 Bains Marie crock lid fits on a 4-, 6-, or 8-quart container to keep prepared product fresh. 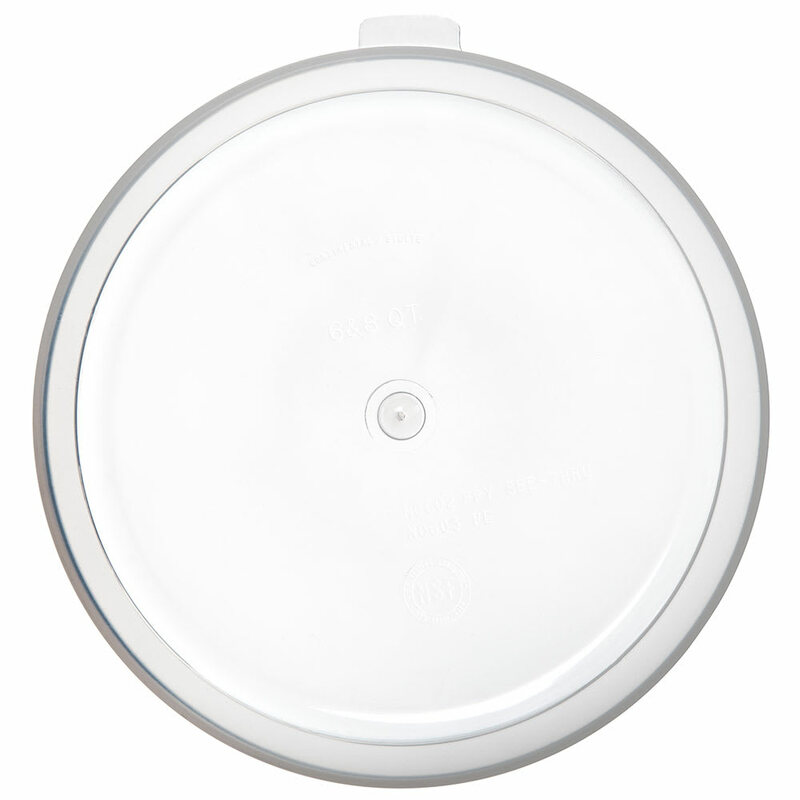 Product can be seen without removing the lid due to its translucent design, and the high-gloss finish on the exterior resists scratches and scuffs. 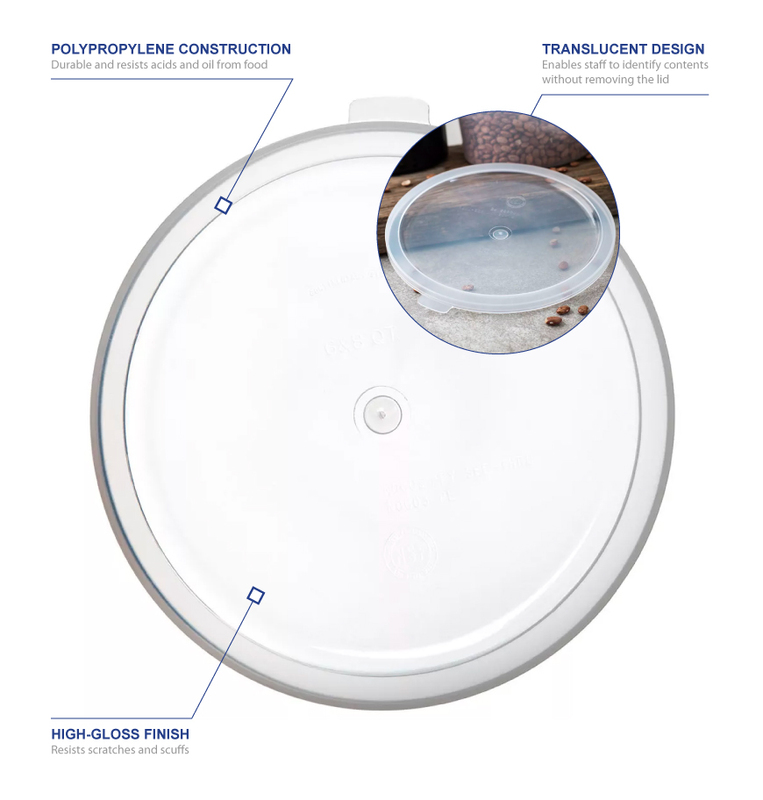 Since the Carlisle 060230 Bains Marie food storage lid is made of polypropylene, it can endure repeated use, resists food oil and acid and can withstand temperatures from 0 to 180 degrees Fahrenheit.